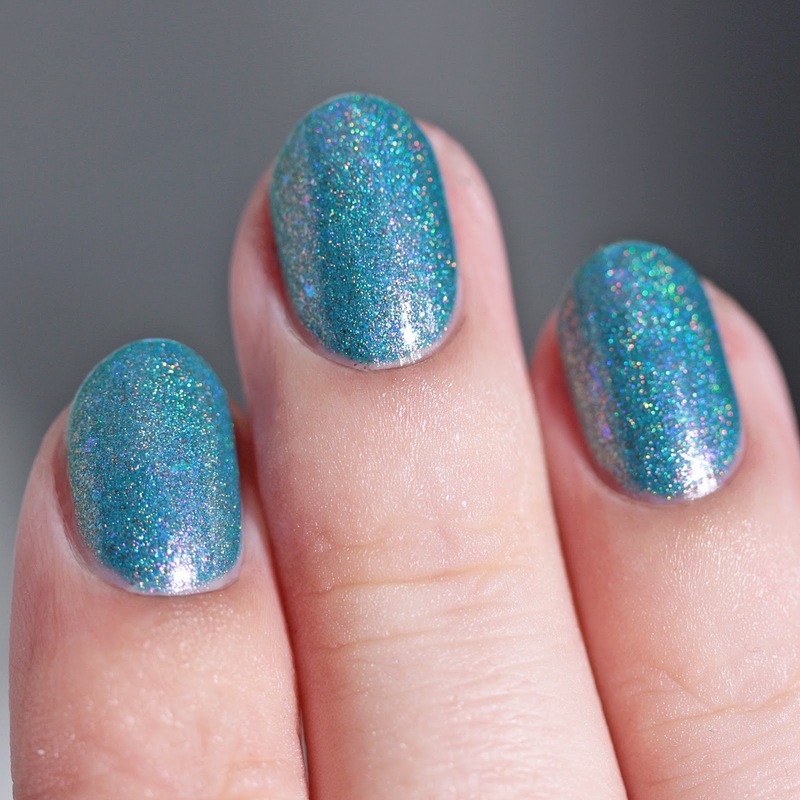 Recently the indie nail polish community lost a beloved member, the blogger Moni of Moni's Mani, after a sudden and catastrophic illness that required a long, expensive hospitalization. Moni had been a wonderful supporter of indie polish brands and her fellow bloggers and leaves behind a young son and grieving husband. The Facebook group, Indies to the Rescue has jumped back into life and numerous indie polish makers have donated polishes to support Moni's family. 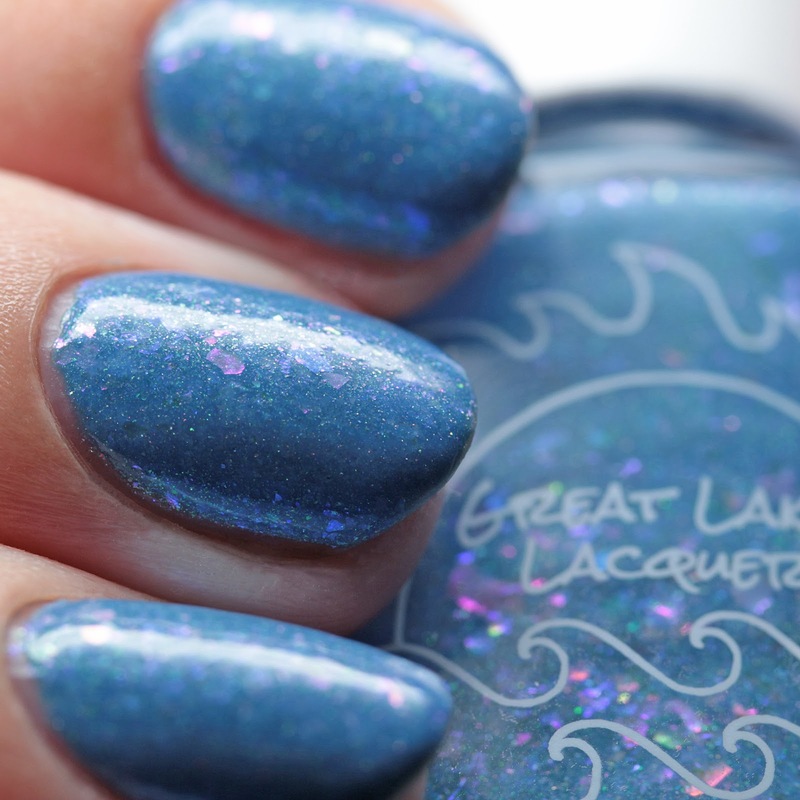 Great Lakes Lacquer has donated multiple bottles of three small batches that she had sold recently at Polish Pickup White Plains 2018. A friend of mine had picked them up for me (thanks, Kate!) 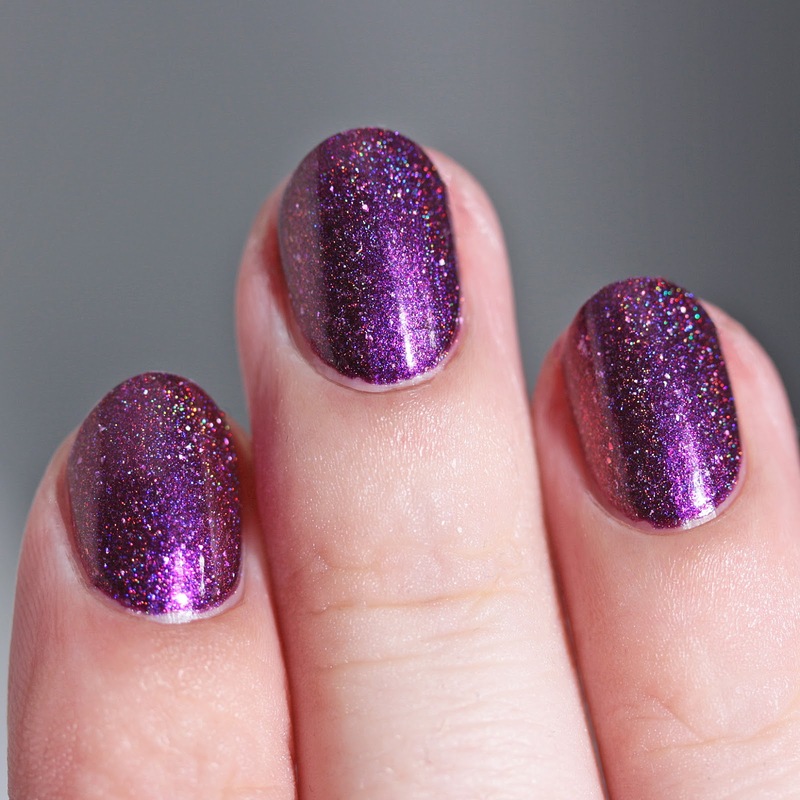 and Mariah asked me to photograph them so you can see swatches and hopefully bid to support Moni's family! Bidding will open in the Facebook group Indies to the Rescue tonight at 8PM EDT and will end Sunday, August 5 at 8PM EDT. 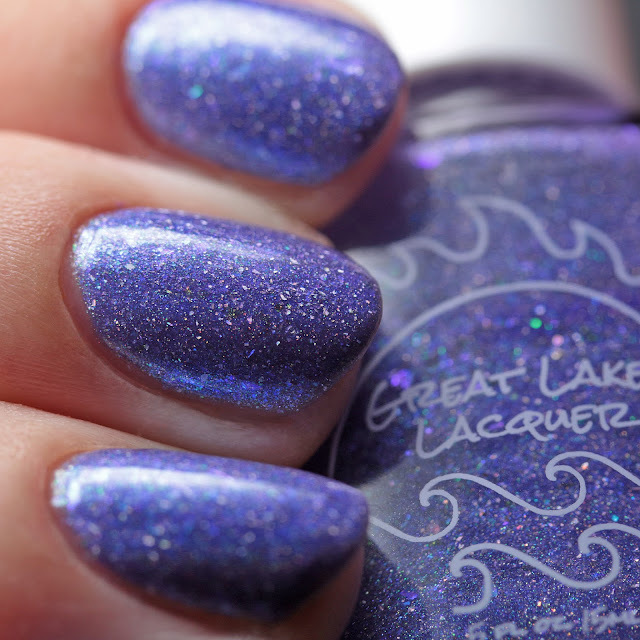 Great Lakes Lacquer A Wizard Is Never Late is a blue-violet jelly with holo shimmer, blue-to-violet duochrome iridescent flakes, and aqua-to-violet duochrome shimmer. I wore it in three thin coats and it had a fast dry time. 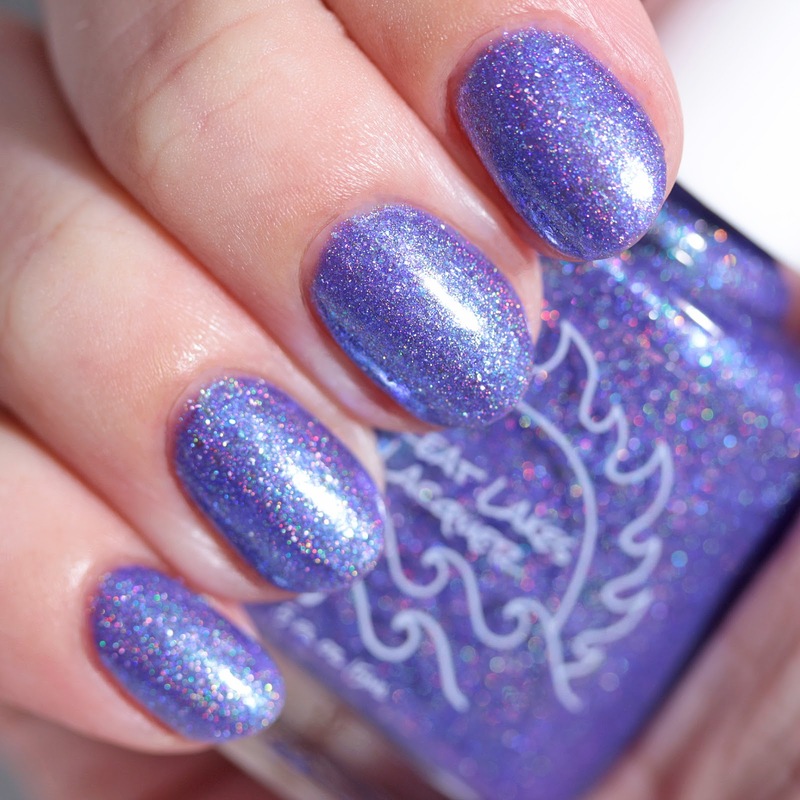 It needs a single layer of top coat to smooth. 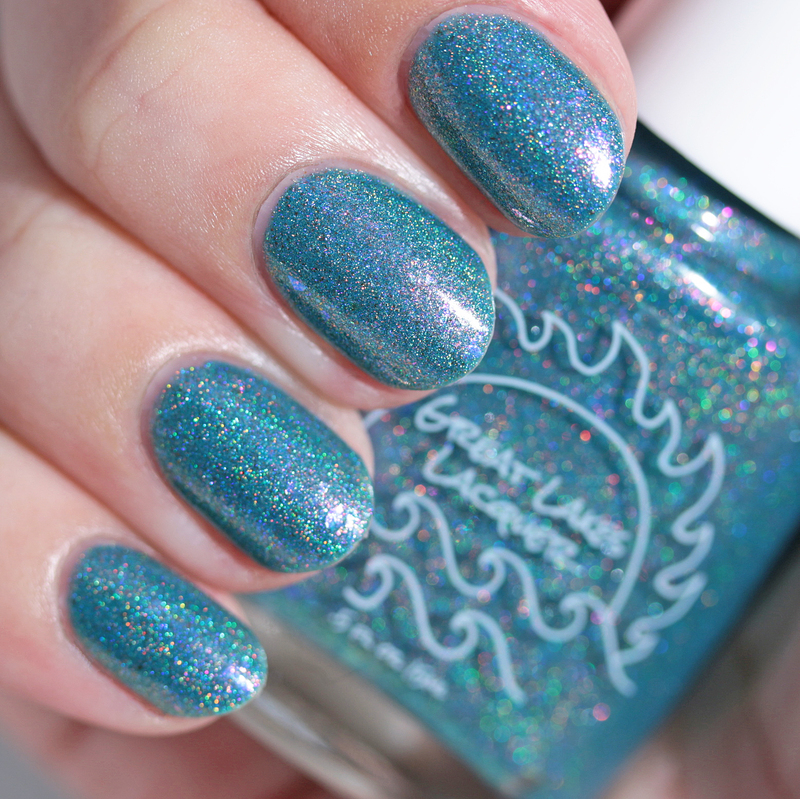 There are 10 bottles of this color in the auction. 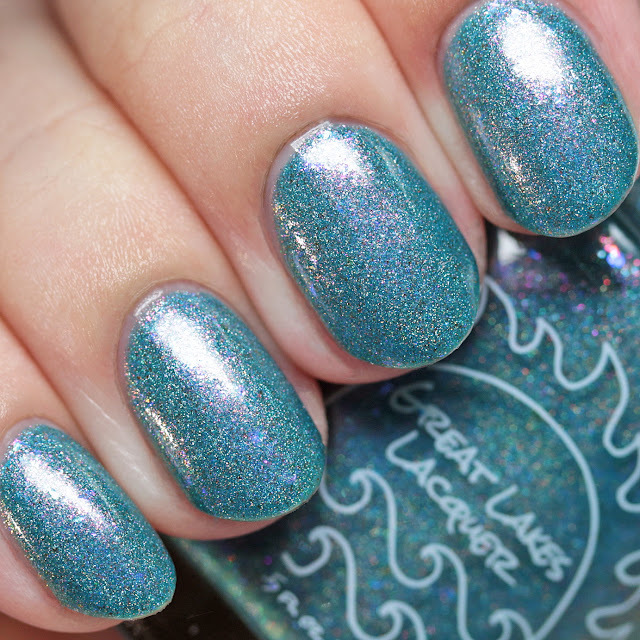 Great Lakes Lacquer Don't You Leave Him Samwise is an aqua with strong holo shimmer, red-to-green multichrome shimmer/microflakes, and blue-to-violet duochrome iridescent flakes. I wore it in three thin coats and it had a great, fast-drying formula. 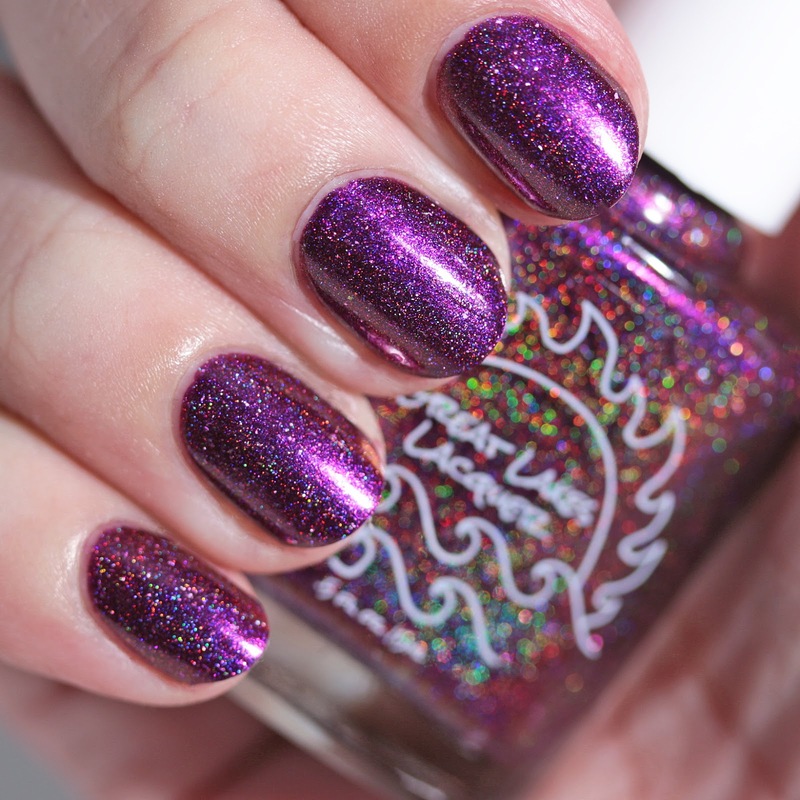 There are 7 bottles of this polish in the auction. Great Lakes Lacquer Not All Who Wander Are Lost is a cornflower blue jelly with holo shimmer, green-to-red multichrome shimmer/microflakes, and and multicolored multichrome iridescent flakes. I wore it in three thin coats and it dried fast. 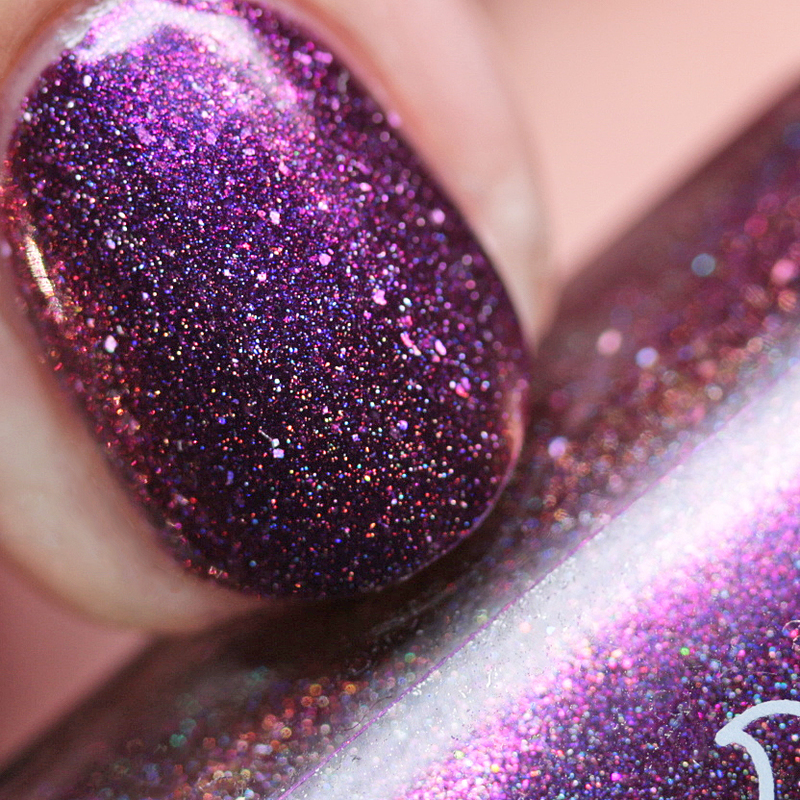 It needs a single layer of top coat to smooth. There are 9 bottles of this polish in the auction. I accidentally also photographed a small batch from Polish Con that did not make the auction, but it is too pretty not to share! 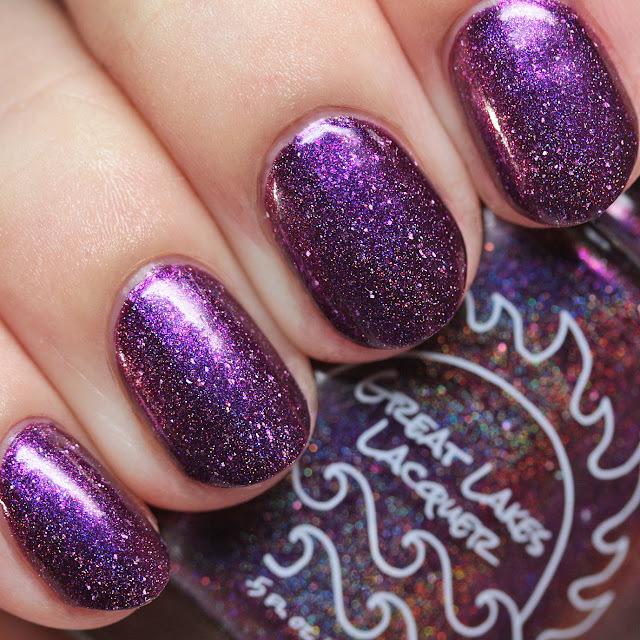 Great Lakes Lacquer What About Second Breakfast? 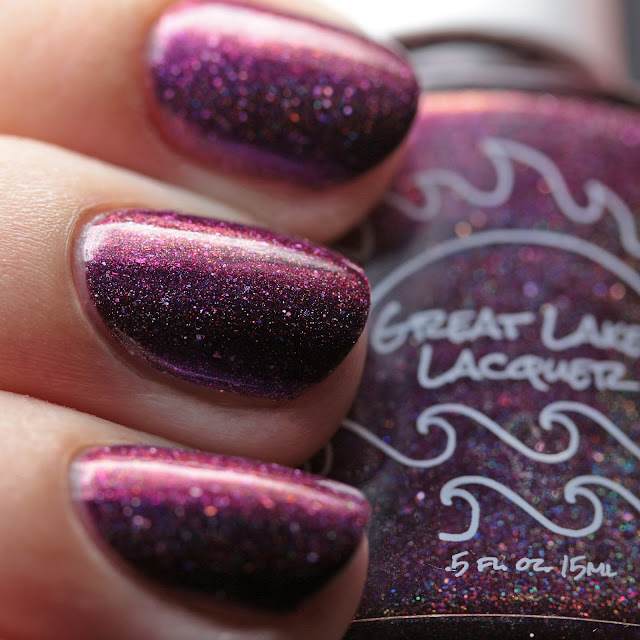 is a deep purple with magneta-to-green multichrome shimmer and microflakes, and holo shimmer and microflakes. 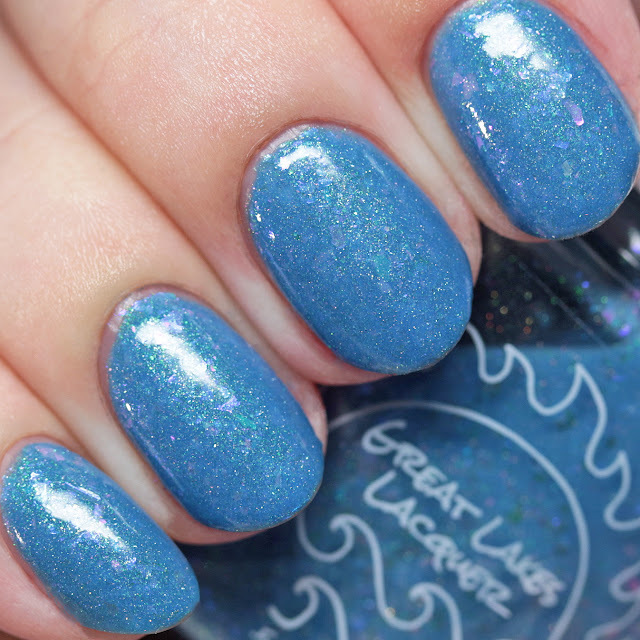 It covered in two thin coats and had a great formula. Mariah has donated multiple bottles of the first three small batches for auction to support the family of the beloved blogger Moni of Moni's Mani in their time of loss. Bidding will open in the Facebook group Indies to the Rescue tonight at 8PM EDT and will end Sunday, August 5 at 8PM EDT. 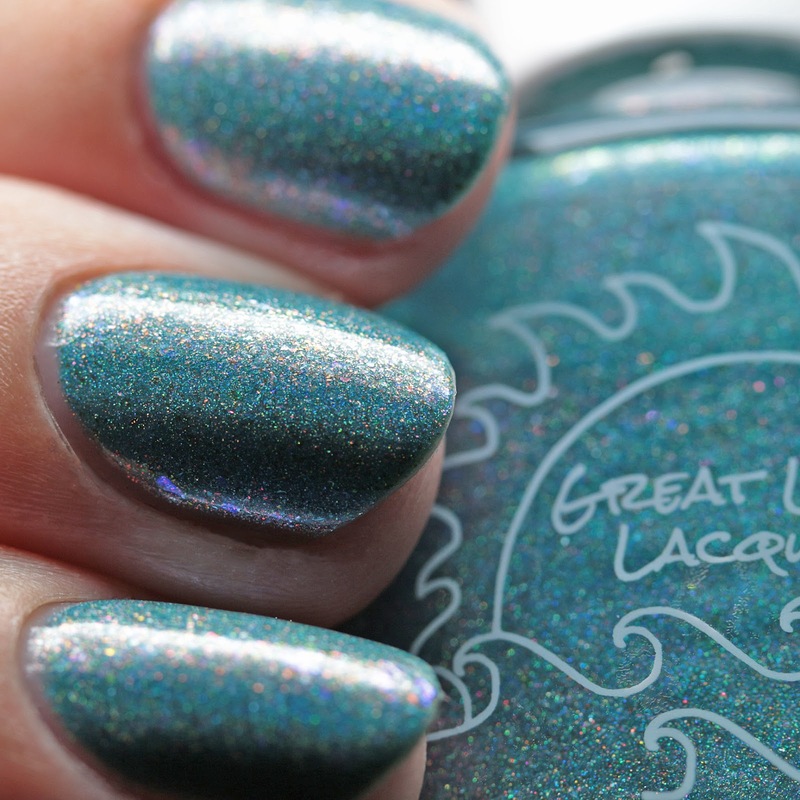 Gorgeous polish and a wonderful cause to help out some great people - this is a great time to shop while also doing something good for a family in their time of need.